Typically we see band members solving rubik's cubes at band camp to impress their friends. It's not every day that we see college football players stepping up to show off their rubik's cube skills. 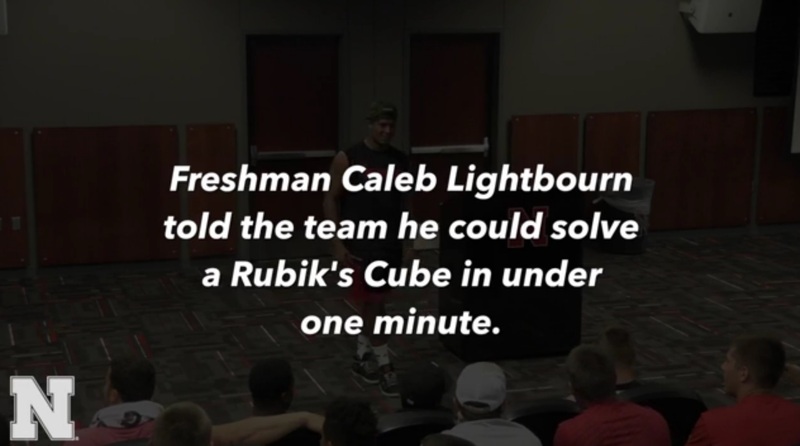 Well at Nebraska, one of their freshman players named Caleb Lightbourn has earned the respect of his entire team. Watch as he gets put to the test to solve the cube in under one minute. How he finishes it will get you fired up. Are you sure you're not supposed to be auditioning for the Cornhusker Marching band Caleb? We challenge you band members! Who can solve the rubik's cube in under one minute?